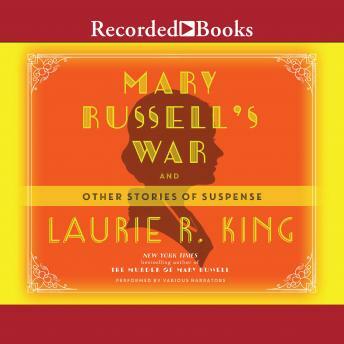 Laurie R. King illuminates the hidden corners of her beloved Mary Russell and Sherlock Holmes series in this dynamic story collection. In nine short stories, seven of which have never previously been available in print, and one brand new, never-before-seen Sherlock Holmes mystery-available together for the first time-Laurie R. King blends her long-running brand of crime fiction with historical treats and narrative sleight of hand. At the heart of the collection is a prequel novella that begins with England's declaration of war in 1914. As told in Mary Russell's teenage diaries, the whip-smart girl investigates familial mysteries, tracks German spies through San Francisco, and generally delights with her extraordinary mind-until an unimaginable tragedy strikes. Here too is the case of a professor killed by a swarm of bees; Mrs. Hudson's investigation of a string of disappearing household items-and a lifelong secret; a revealing anecdote about a character integral to The God of the Hive; the story of Mary's beloved Uncle Jake and a monumental hand of cards; and a series of postcards in which Mary searches for her missing husband, Sherlock Holmes. Last but not least, fans will be especially thrilled by Mary's account of her decision, at age ninety-two, to publish her memoirs-and how she concluded that Ms. King should be the one to introduce her voice to the world.